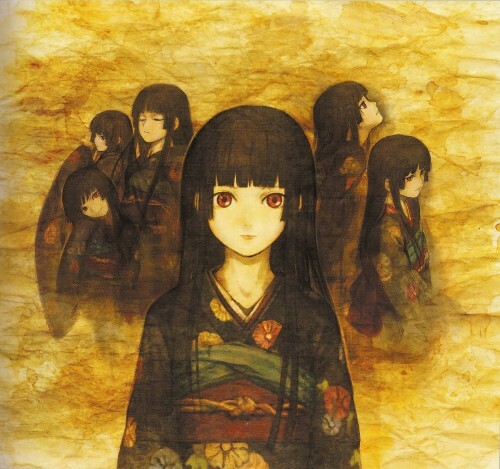 scanned from a Jigoku Shoujo anime visual book I bought. Do not upload anywhere else! so awesome scan! the coloras are beautiful! 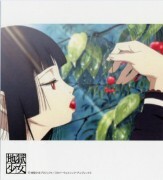 this is the art that the old man was drawing before he dies in the first season! I love this! Ah, I remember this. This is one of the paintings on wall of one old man.... If I remember correctly. Thanks for sharing!